Next time you are heading down for a sail, pack a hammer and goggles in your kit. Parks Victoria have commenced an Urchin cull in The Bay. If the wind is light and you are still suited up, help needed to cull Urchins, weapon of choice the trusty hammer, take hammer hit urchin, carcass is food for the fish. Rid the rocks of the Urchin protect marine environment and save your feet. 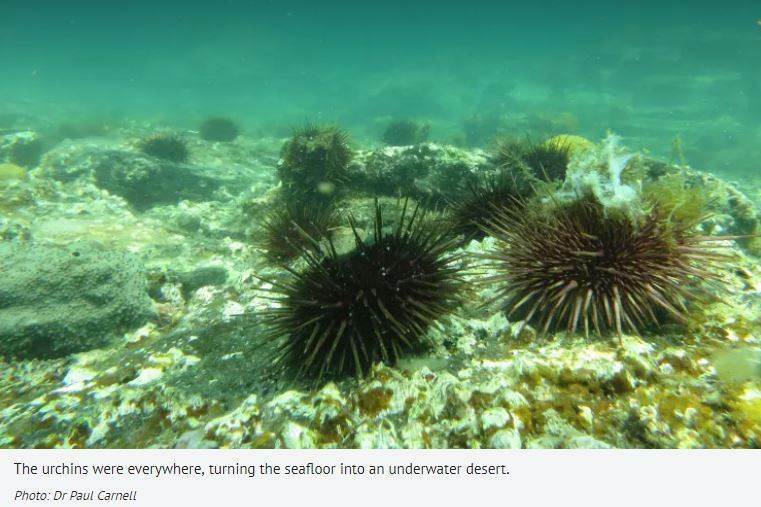 Article from The Age, SATURDAY March 10 Kelp needed to cull urchins.